On a beautiful location located fully furnished ground floor with fine deep backyard with back. The spacious ground floor has two floors, consisting of a basement and a bell-floor. The property is located in the old village center of Hillegersberg with all amenities within walking distance. In this house the authentic features are combined with a warm and contemporary decor. There are 2 floors and a lovely spacious garden with balcony also accessible through the back. Entrance through the neat front garden on the ground floor, stairs to the first floor where the living room and room and suit with open kitchen is situated. All rooms on the first floor are connected to each other with the spacious open-kitchen with dining room of approx. 28m2 as the central area. There is a good laminate floor throughout the entire floor. This open modern kitchen is fresh, spacious and has all the necessary appliances gas hob with extraction unit, built-in oven, and a built-in fridge-freezer and dishwasher. The balcony is located at the rear of the house with unobstructed views over the garden and water. On the landing there is closet space available, A tightly tiled bathroom and the stairs to the basement. The basement the second floor, which has two bedrooms of resp. approx 18m2 and 16m2, both bedrooms with laminate flooring. The bathroom is playfully laid out, a spacious walk-in shower, bath, washbasin, design radiator, and a second toilet. The washer and dryer are located outside the bathroom. This spacious house is located in the heart of Hillegersberg a stone's throw from the Bergse Dorpsstraat where various supermarkets, shops and cozy restaurants can be found. This property will be available from May 15, 2019. This furnished house is available for a period of approximately 1.5 years. 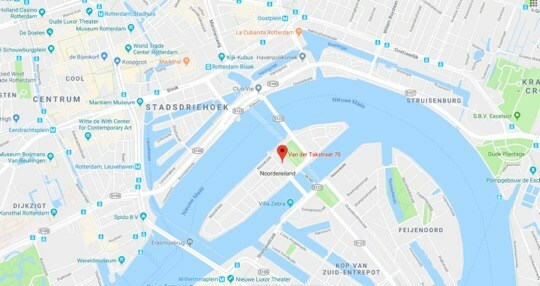 Please contact the rental brokers of Tweelwonen Rotterdam directly to discuss the possibilities of renting this fantastic property with us.